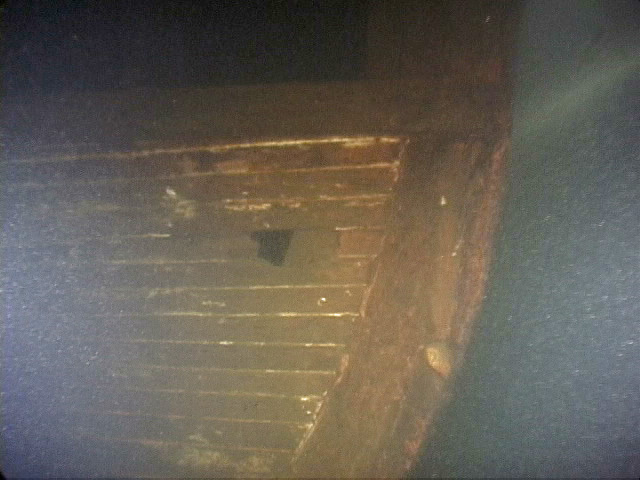 Here are some underwater images from the Falcon dive. 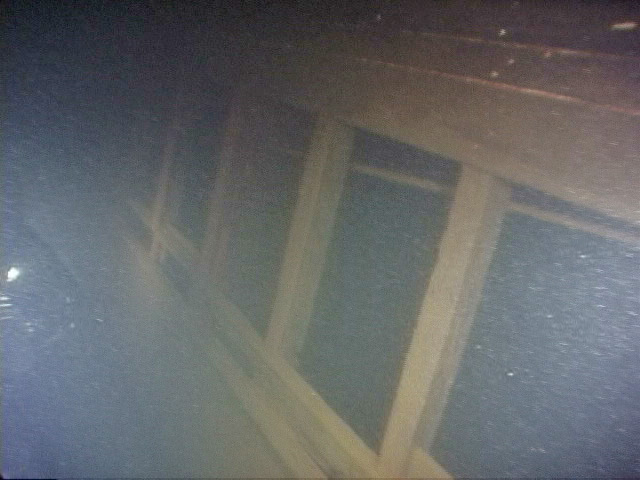 Dark grainy photos but those are the conditions we deal with 200 feet below the surface. After a long break between wreck dives I was back in the water again on Saturday with scret.org friends. This time we were out in Lake Washington and diving the ‘Falcon’ – an early 1900’s passenger steamer that sunk in Lake Washington under unknown circumstances. The Falcon was built in Bellingham in 1908 and used by the Island Transportation Company for service between Bellingham and Anacortes. The Falcon was sold to the Kitsap County Transportation Company in 1913 and later retired from KCTC’s service in 1919. How the Falcon made it to Lake Washington is unknown. 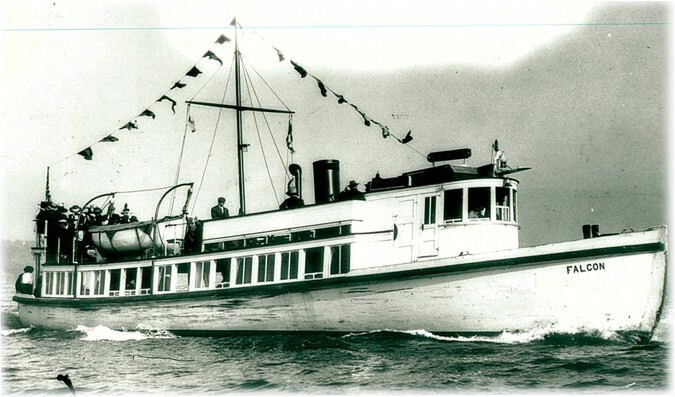 It is likely that after 1919 it was transferred to Lake Washington as part of Captain John Anderson’s passenger ferry fleet. Around 1920 Captain Anderson (of Anderson’s Shipyard) was named superintendent of ferries by the county – he had been operating a number of passenger steamers on the lake for nearly 20 years (and would continue to do so as the I-90 Bridge was not completed until 1940). The Falcon now sits upright on the bottom of the lake in 200 feet of water, north of Hwy 520’s floating bridge. 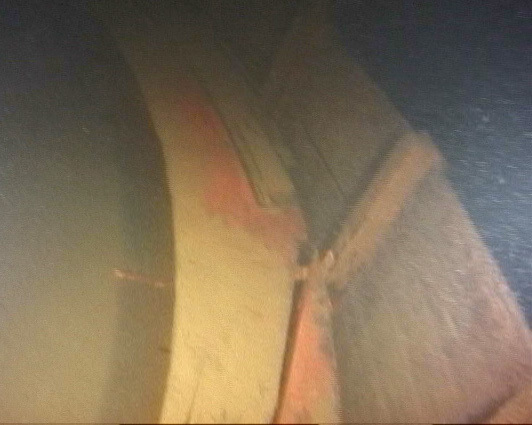 It is in fairly good shape, though the wheel house is missing from the structure. This may indicate the Falcon was stripped then scuttled intentionally. The square windows of the Falcon are still framed in nicely and the bow & stern are both intact. 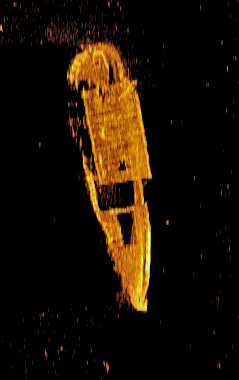 I’ve included a few photos with this entry: the first couple are the Falcon above water, the third is a 3D rendering of the Falcon today (forward cabin & pilot house missing) and the fourth is a sidescan sonar image of the wreck sitting on the bottom of the lake. Sidescan imagery courtesy of Innerspace Exploration.